In the world of today’s increasing online crime and internet fraud, a lot of people seek the importance of online security, log-ins, username and passwords. With the standard security procedures which only require a simple username and password, it has become increasingly easier for criminals (either in organized groups or working alone) to gain access to a user’s private data or apps. This information can be used by such people to commit fraudulent actions. Usernames and passwords are not enough to protect your data. Today’s times require a more complex security such as verification and authentication procedures to avoid against such fraudulent actions. The security nowadays should involve multiple layers. We are not satisfied by what the user “know” but also what the user, and only the user, “have”. Apple is changing and improving things up for the better. Two-Factor Authentication and Two-Step Verification are very important defense to keep your accounts against unauthorized access. These security features are very important weapon and it is highly recommended for users to enable it on their devices and keep up to date. With iOS 10 or earlier, Apple has introduced Two-Step verification as a security feature. Using the newer version iOS 11, Apple introduced the new and improved Two-Factor authentication to replace Two-Step verification. These two features are similar with a few differences. Two-Factor authentication offers a more secure and easier to use security feature. 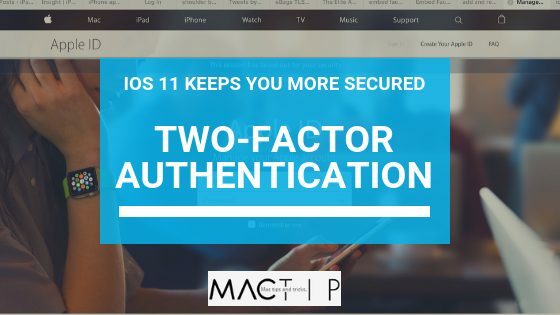 Both Two-Step Verification and Two-Factor Authentication aim to secure your Apple’s ID. These features add a secondary layer of security which is known as multi-factor authentication. This requires not only a username and password but also something that the user only, and only the user, has on them. An example of such is a piece of information that only the user should know or have immediately. Using the username and password plus with the piece of information that only the user should know or should have, makes it harder for intruders to gain access and steal the owner’s data or identity. However, Apple doesn’t make it simple. Instead of using a single two-factor authentication process, the company went for two different processes with slightly different names but similar usability. For those using iOS 10 or earlier, it is recommended that you use and enable Two-Step verification for your security. If you have upgraded to iOS 11 Public Beta or is considering doing so, then go ahead and read on all about Two-Factor authentication. The first indication for those users who have the Two-Step verification enabled is when they received an email indicating that some things will be changed. The letter states that as soon as you decide to upgrade to iOS 11 Developer or Public Beta, your account will automatically shift over to Two-Factor Authentication together with the changes that come with it. Two-Factor authentication and the changes that come with it isn’t completely different from its predecessor but is easier to use and offers a more secure feature. You will then be asked to enter and verify your trusted phone number. A trusted phone number is a number that can be used to receive verification codes by automated phone call or text messages. You must verify at least one trusted phone number to enable two-factor authentication. You should also consider verifying other phone numbers such as your home phone number or a number that a member of your family uses. You can use these numbers if you can’t temporarily access your own device. You cannot turn Two-factor authentication from the settings. You can only enable it from there if it wasn’t turned on already. The Two-factor authentication is an extra layer of security designed to guarantee that you are the only person who can access your account, even if someone knows your password. The first time that you are prompted to use Two-Factor authentication and enabled it, you will be able to notice that a lot about how your Trusted Devices and Verification Codes has changed. One of the first things you will notice once you upgrade iOS 11 is that you will be automatically prompted to make your device a Trusted Device in settings. This enables you to be free from setting up a new device in the Apple management store every time you upgrade. This is such a great user-friendly addition from Apple and it is highly recommended for you to do this to avoid you the hassle. With Two-factor authentication, your account can only be accessed on your trusted devices. Such devices can include your iPhone, iPad, or Mac. It’s a device we know you owns and that can be used to confirm your identity by showing a verification code from Apple when you log in on a different device or browser. When you need to sign in to a new device for the first time, you will be asked to provide two pieces of information — your password and the six-digit verification code that’s automatically displayed on your trusted devices. You are verifying that you trust the new device by giving out the verification codes. For example, if you have a Mac and you are signing in to your Apple ID on your newly purchased iPhone, you will be prompted to enter your password and the verification code that is shown on your Mac. Another advantage of Two-Factor authentication is that you will no longer have to select which device to be notified on. With this, all of your Trusted Devices will be notified at the same time every time there is an attempt of a log in requiring approval. The best part of the update is that you will get a map view and a relative location where the log-in request is coming from. You will be readily notified of any illegitimate access on your account especially if the location shown on the notification is not somewhere from where you access your accounts. This is a great security update as you can quickly spot and be informed of any illegitimate request based from location. However, Apple still has some improvement to work out on based on giving locations especially if the device is accessed on a farther location. There is a reported situation wherein the location given by the notification isn’t accurate with the real location from where the log-in request is coming from. Either the error is from the Wi-Fi or something that override the GPS or the cell tower that the person was using, this matter need some work to focus on. 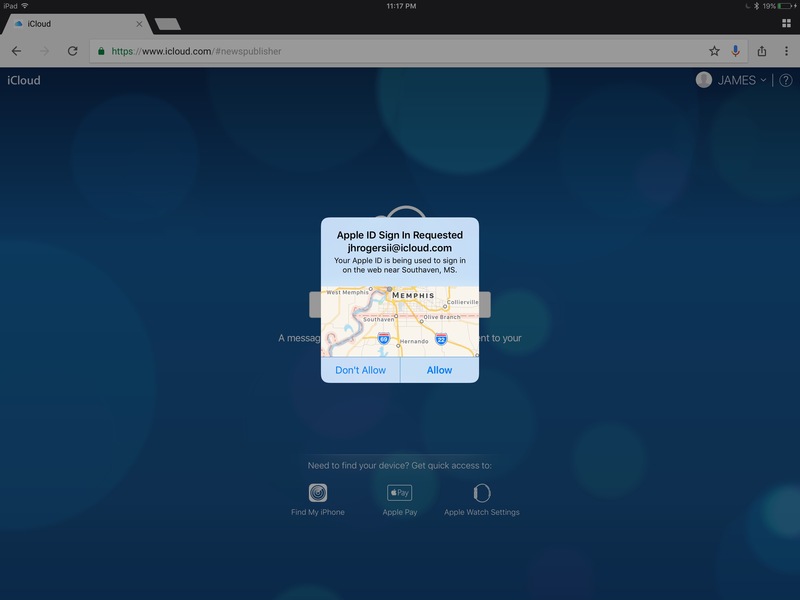 Nevertheless, this feature is a huge help on securing your Apple account against unauthorized access and you will get a warning instantly. A verification code is a security protection method used by owners to avoid intruders from accessing their private data. It is a temporary code sent to your trusted device or phone number when you sign in to a new device or browser with your Apple ID. It is different from the device passcode that you enter whenever you unlock your iPhone, iPad or iPod. Also, you can get a verification code from the settings of your Apple device. Because your password alone is not enough to access your account, Apple improves the security of your Apple ID and all the other information that you stored with it. With Two-Factor authentication, the codes have grown longer from four to six digits. Every number added makes the code more complex and is harder for intruders to crack. The longer the code, the safer you are. 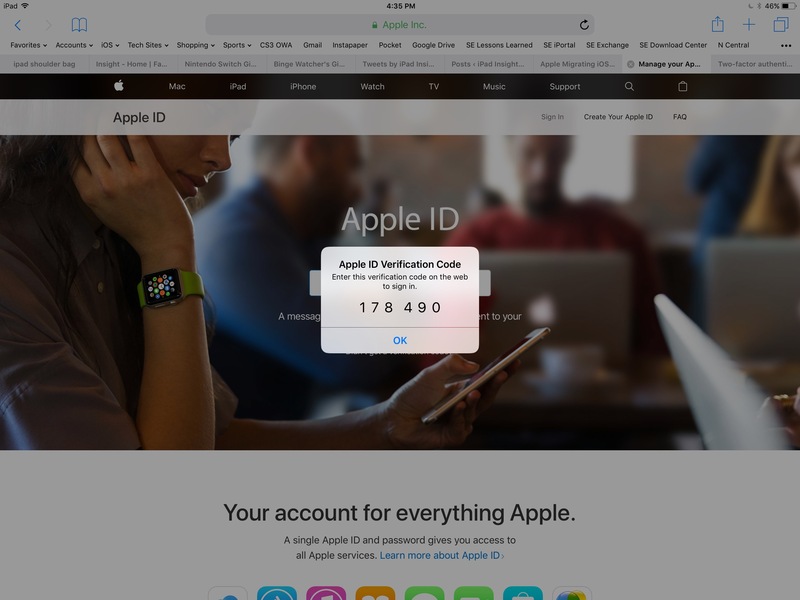 With the longer verification codes, better Two-factor authentication notification process, easier Verified Device setup and a location notification for a log-in attempt – the Apple company did a good job on providing their users a more secure feature to use. So, if you are using or considering updating to iOS 11 Developer or Public Beta, do yourself a favor and enable Two-Factor authentication. With the increasing digital crime and fraudulent actions committed by intruders, it is better to have more security than ever.